East of India set of three individual boxes, snuggly fitting inside an oblong box. Outer box reads - "Babies are cuddles and a kiss on the nose, the sweet smell of powder, and tickles on toes"
East of India baby boy card with wooden pram attached. 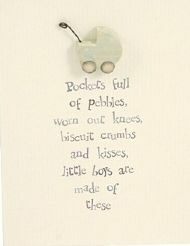 Reads 'Pockets full of pebbles, worn out knees, biscuit crumbs and kisses, little boys are made of these. 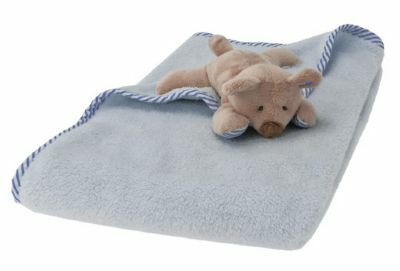 Beautifully soft 100% cotton baby blanket. 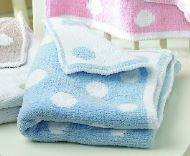 Large polka dot design in choice of three colours, reverse of each blanket in negative colour combination. Comes packaged in ideal zip storage bag with rope handle. 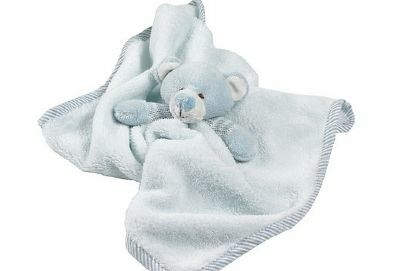 By Waltons of Yorkshire, this gorgeously soft blanket is machine washable. 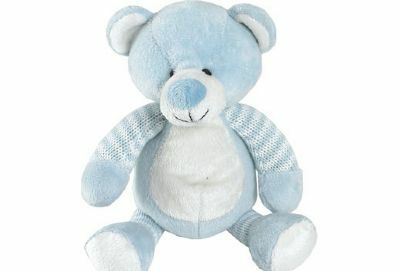 Gorgeously soft rabbit with knitted arms.